Great Neighborhood! 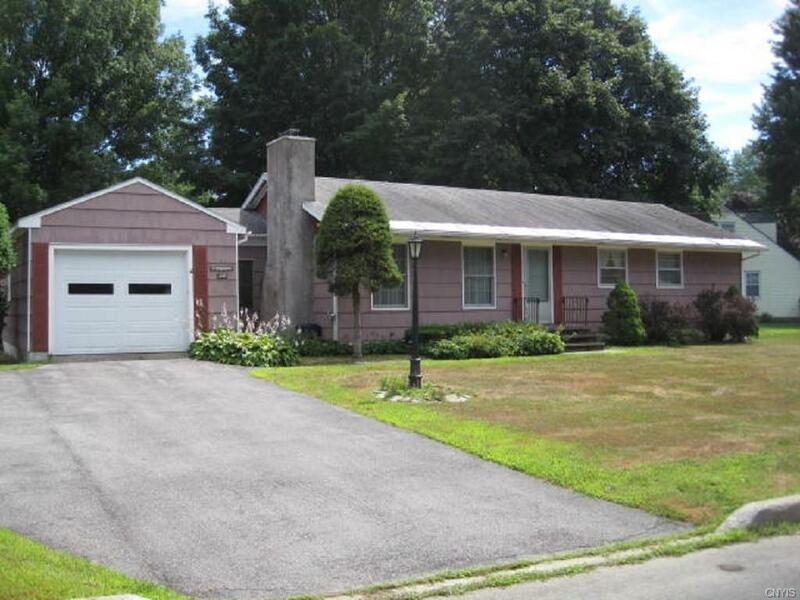 Nice 3 bedroom ranch with 1.5 baths. Great layout! Living room with wood fireplace, eat-in kitchen, formal dining room, and basement is partially finished. Backyard has beautiful trees, and there is an attached garage. Boiler is new and electrical panel updated. Close to schools and stores, minutes from the Griffiss Park.